With my last CSA delivery I got a huge bunch of french sorrel. My plan is to try at least 1 new vegetable each week and it was french sorrel’s turn this time. I didn’t really know what to expect other than a green leafy kinda thing. After I cleaned it up I tasted a piece. Lemon. That’s what you’re going to taste when you try french sorrel. I think it’s going to make a great, distinct pesto when I make a batch tomorrow or the next day. 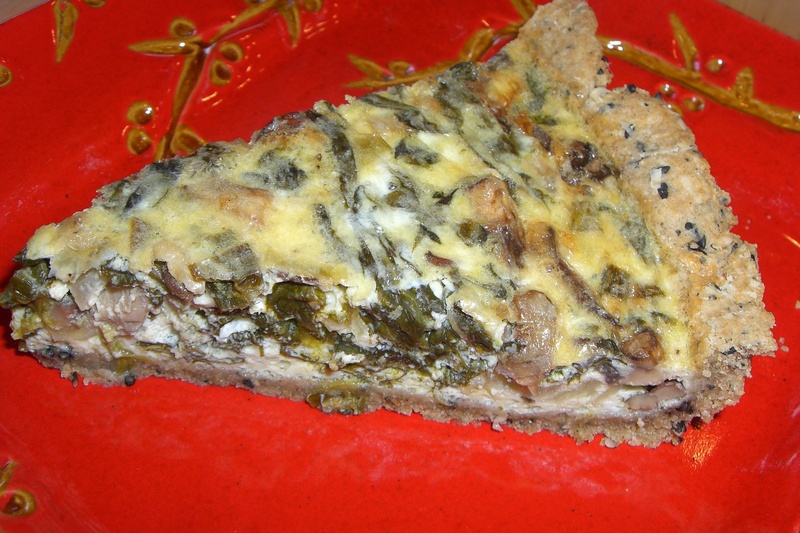 My first use of the french sorrel was in a quiche. I like to make my own quiches at home because I know what’s in them, and I leave all the cream or heavy milk out. This quiche puffed up so much I should have used my deeper dish! Unfortunately I didn’t write the recipe down and the quiche kinda just got thrown together but no worries, I will try to recreate it because it was heavenly. The touch of lemon from the french sorrel really made the dish stand out. I went in for seconds. Yeah, it was that good. I had a nice swim Tuesday morning. It had been a few weeks since I was last at the pool so getting in there was fun. The water was a bit cooler, not so fun but I warmed up quickly. The swim was just 20 minutes long so I wanted to get a 20-30 minute strength training sesh in too but I was just sleepy tired when I got home from work. I pushed it off until this morning and rocked 60 minutes circuit style stength trainings and cardio. It really kept my heart pumping. I’m so much more motivated to work out first thing in the morning when my energy level is the highest. What about you? When do you like to get your sweat sesh on? Yea I agree, when I workout in the morning my overall outlook on the day is so much better! If I skip my morning workout, I am more likely to not do it in the afternoon or evening. That quiche looks amazing! I will definitely want the recipe if you figure out how much goes in etc. Hey Doll!! This looks so freaking good!! I must know how you made it! I love swimming and only seem to do it when I am in Palm Springs or on our vacations……I should get back into that! I'm definitely a mornin' gal! I love an early morning workout! I really want to get into swimming, but lately I’ve been sticking to spin classes! I do them in the evening because that’s when they’re offered, but I prefer working out in the morning. Nothing like a good a.m. run to start your day! 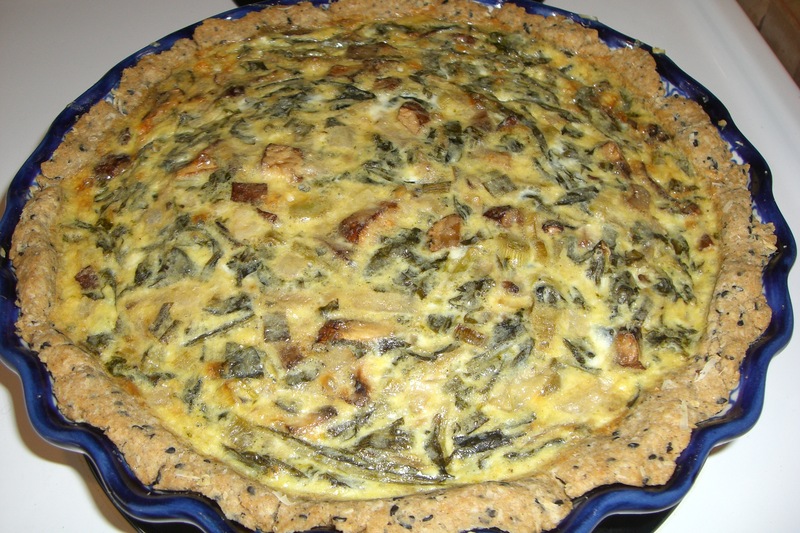 Beautiful quiche. Our CSA is full of spinach and swiss chard right now and I love it.